Hiring brand new agents to grow your office is such a vital part of sustaining long term growth for your organization. Making sure you are qualifying the candidates and hiring new agents that will be successful is key. 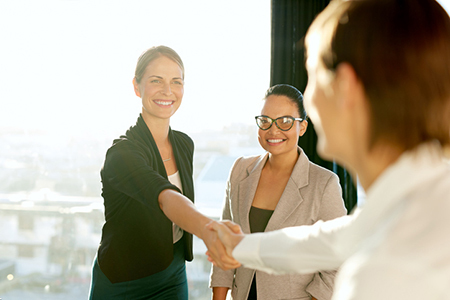 You can increase your success by following these best practices at the front end of the process to ensure the agents you hire are successful from day one. Ask them about their previous background. Were they in sales previously? Do they like to problem solve, manage a lot of tasks, have a magnetic personality? These, we know are some of the natural abilities that obviously help when someone is a “natural” at selling homes. Are they connected to the community? Do they have a fantastic sphere of influence to tap into for business? Ask them about their connections and who they know are exceptional sources for referrals. Ask qualifying questions. Ask them why they want to sell homes. What kind of income are they looking to make? How much time are they able to devote to the business? Are they planning to transition from another career and if so, what is their plan and timeline to completely transition into full time real estate sales? How soon do they want to get started? Lead the conversation to find out how motivated they are about selling houses and getting their license. Add energy and excitement to the process for them by promoting how great the business can be. Create urgency to get their license so they can get started and maximize the great market and start making money right away through your new agent success coaching and training.